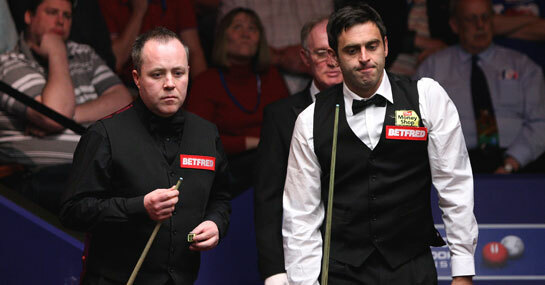 Easily two of the most recognisable names in world snooker, Ronnie O’Sullivan and John Higgins, were unceremoniously dumped out of the UK Championship at the last 16 stage on Tuesday. O’Sullivan ‘s conqueror, the immensely talented Judd Trump, has been installed as 7/2 joint-favourite to win the tournament in the wake of his 6-5 triumph. The other surprise of the week came when reigning champion John Higgins was defeated by his compatriot Stephen Maguire, whose highly impressive 6-4 victory could cause some punters to take advantage of his long odds to win his first UK Championship since 2004 at 9/1. A lot will depend on the draw he receives, but he is certainly hitting peak form at the right time. Amongst other competitors looking to claim the crown, 2011 Shanghai Masters champion Mark Selby looks in red-hot form, and having crushed Ryan Day 6-0 in the opening round of this competition, it is no surprise to see him priced as 7/2 joint-favourite for the title. Neil Robertson, who has already triumphed over the likes of Judd Trump within 2011, was almost as emphatic in his initial display in York, with a 6-1 win over Tom Ford. He performed admirably in a comfortable 6-3 conquest over Graeme Dott in the second round too, and could represent danger to the favourites at a tempting 5/1. Punters could also do worse than to consider a bet on Mark Williams also, as he has performed consistently throughout the year, reaching the Shanghai Masters final, and 8/1 is a big price for the Welshman to go one better than runner-up spot in the UK Championship this time.